This photograph should help you with gaining perspective of just how tall the Knight really is. Remember that I am on the right hand side of this photograph and I am about 5 feet and 6 inches tall. 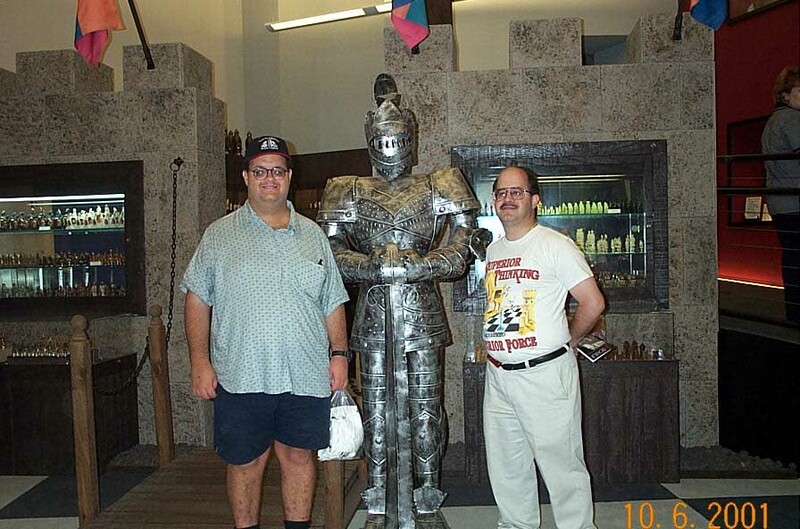 You can see my friend, Chris Stormont, on the left hand side of the picture and the Knight is even taller than he is and Chris is taller than I am.